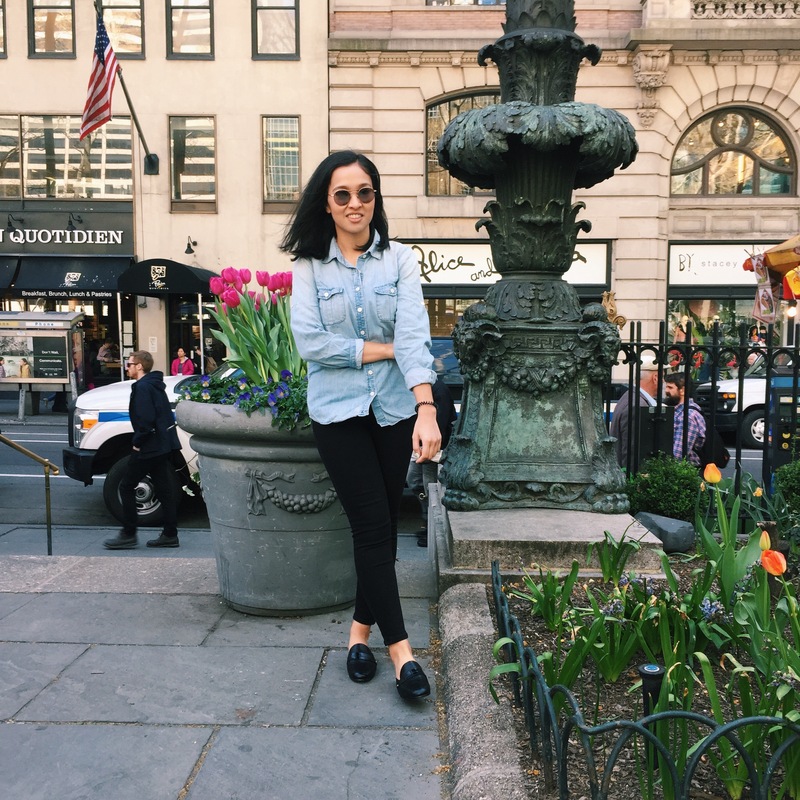 I’ve always felt that spring passed me by every year, so in an effort to be more mindful and present, I really went out of my way to observe the flowers and nature around me, and there’s no better place to do so than the New York Botanical Garden. Here are my highlights from my day trip up to the Bronx. Honestly sometimes living in a large city gets me down because I feel like there’s little access to nature. But with this brutal winter season and the weather finally warming up, I knew I wanted to be surrounded by nature—even if it was for a few hours. My main goal for the day was to see cherry blossoms, also known as sakura, because I visited during the peak season. I had never visited the Bronx before, but it was very accessible by subway and only a 20-minute walk to the botanical garden. This day in particular featured a wine tasting event from wineries around the New York area, including the Hudson Valley region, which I love. After sipping some wines, I began my trek to the Cherry Collection. I first had to walk through the Thain Family Forest, which felt like a hiking trail and had views of the Bronx River. It really felt surreal to be walking through a forest while still being in New York City, I had to stop to take in the sights. It was then a short walk to get to the Cherry Collection and the trees were in full bloom. There were pink and white blossoms along the path, and it was nice to just sit in the grass and soak everything in the moment. Following the Cherry Collection, I stumbled upon Daffodil Hill, and to me it embodied everything I love about spring. It was actually surprising to see that many flowers spread out across a hill. Finally, I circled back around to the entrance to head back to reality in urban life. Enjoying the blooms on Daffodil Hill. Something I learned from this weekend is that even though winter is cold and rough, the payoff of seeing flowers, even for a little while, makes it worth it. You can’t go through good times without the bad. Eventually the sun comes out and everything is warm again, so long as you are patient and living in the present. Worrying about what’s to come means you’re letting the present pass you by, so just pause for a moment and stop to smell the flowers.